Today DigiTimes from Taiwan reported that the next iPhone will have a curved glass display. It was reported that Apple has purchased 200 to 300 glass cutting machines to achieve this curved look for the next generation iPhone. Many are speculating that the curved display would be something similar to the 4th generation iPod nano which also have a curved screen display. There is also talk going around that the iPhone 5 might actually be called iPhone 4S however this is yet to confirmed which might be hard to do until Apple officially announces it. 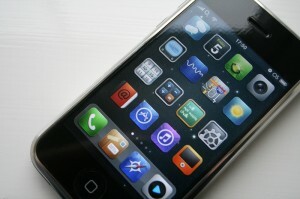 iPhone 5 is said to be running the faster A5 processor and will have a larger screen than the iPhone 4. In about 2 weeks Apple will host their annual Worldwide Developers Conference where it’s been confirmed that they are going to show off their next version of iOS and Mac OS X. These will definitely give us a first glimpse of what the next generation iPhone 5 would have.